Sign up to get interesting news and updates delivered to your inbox from KZG Clubhouse News. Sign up for KZG News! Did you know that the most difficult club to hit in just about everyone’s golf bag is their 3 wood? Usually the problem is the length of the club along with the size of the head and the loft. And even though these woods are problematic, they are rarely talked about during the fitting process. Before we delve into the problems golfers have with their fairway woods, let’s look at what a fairway wood is supposed to do for you. Most people use a fairway wood to either lay up or, for the longer hitter, hit the ball onto a green on a par 5. Both of these shots require accuracy over distance and ideally the ball will stop as close to where it landed as possible. The more roll you have the more likely you will roll into the rough. Very few amateur golfers use a 3 wood off the tee on a par 4 regardless of whether they should of not. When I grew up, it was common place for a player to leave his driver in the car and only play with a 3 wood off the tee as their “driver”. Now, with the higher lofted drivers there is no need for them to do this. Now let’s look at loft. Most average golfers are using a driver with 10.5* or 12* (with most requiring more loft). 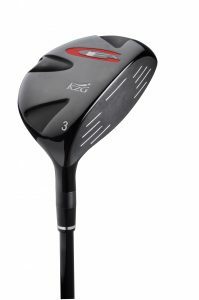 Then they insist on carrying a #3/15* lofted fairway wood. Because the #3 wood is mostly hit off the ground it requires a slightly downward angle of attack. The downward angle allows the golfer to be able to strike the ball solidly. Doing this, reduces the effective loft even more than a driver which is usually hit on the upswing. The vast majority of the golfers I have fitted for fairway woods do better with a #4/17*, #5/19* or sometimes even a #7/23* wood as their longest fairway wood. They hit the ball as far with these clubs as they do a #3 wood and sometimes even farther. But they get the height they need to be able to stop the ball on the green or fairway. The length of the club and the size of the head are next. With the smaller head size of the fairway wood, most golfers do better with a slightly shorter shaft to enable them to hit the ball in the middle of the clubface on a consistent basis. The “standard” #3 wood length is now 43.5” which is the same length as a driver used to be making the club harder to hit than it needs to be. As I have stated in the past, sales of longer golf clubs are driven by the big manufacturers. In attempt to sell distance when in actuality it does more harm than good for the average golfer. The size and the design of the head is equally important. Lower profile woods and woods with a deeper lower center of gravity make it easier to launch the ball into the air than others. For those with higher handicaps, a larger head, possibly and offset and a very low center of gravity may be required. The better player may require a slightly deeper face and higher CG to allow them the workability they need for their game. To be properly fit for a fairway wood you still need to be tested on a launch monitor with a qualified clubfitter. This will help to ensure you are using the right clubs that fit your game. Please call us at the KZG Performance Center in Palm Desert so we can help you get the most out of your clubs and help you can enjoy the game more.